How You Can Help | Horses Healing Hearts, Inc. 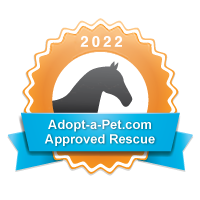 Looking for your next equine partner or companion? ADOPT A HORSE from Horses Healing Hearts, where we rescue, rehabilitate and rehome horses. We have professionals who assess and train our horses when appropriate, and we can help match you up with the right horse for you. If you can’t adopt a horse permanently, FOSTER A HORSE. We often seek qualified equine foster parents with appropriate facilities and space for temporarily taking care of our rescued horses. Giving an abandoned or unwanted horse the care, love and opportunity to build trust is a great way to get involved. If you can’t foster a horse, SPONSOR A HORSE at our rescue facility at the Mill Iron U Ranch. The cost of basic care for one horse for one month is $300.00. Visit your sponsored horse and help with his daily routine, or simply enjoy updates about his progress. If you can’t sponsor a horse, MAKE A TAX-DEDUCTIBLE DONATION. $135.00 is the cost of hay and water for one horse for one month. Another way to give to the horses: DONATE ITEMS ON OUR WISH LIST! Have some time to donate? VOLUNTEER in one of many ways that the horses need your help. Take photos for posting ads for horses ready to go to adoptive homes. Post ads online and as flyers. Clean paddocks. Become an advisor to the organization. Or, suggest a way that you would like to help! See yourself through the eyes of a horse: join us at the ranch for an EQUINE GUIDED EDUCATION session. The horses are the ones who do the whispering, and they are able to tell us things about ourselves that other people can’t. Recommended donation is between $50-$100. Girl Scouts and Brownies can do COMMUNITY SERVICE by raising money for items off our wish list. Get the children involved, and they are welcome at the ranch to meet the horses they are helping. Help us NETWORK and raise awareness about the horses’ needs and also their gifts to us. When you get involved with 3H, you’ll have a chance to experience what horses give people every day, including feelings of peace, joy, clarity, confidence, expanded awareness, and inspiration, just to name a few. We need the stories and the pictures to reach more people, so use your social media and your social skills to spread the word. HOST A FUNDRAISER in conjunction with Horses Healing Hearts. From a dinner in your home to an event at a local venue you know and love, you can get more people involved in giving the care and the opportunities our horses need. We will work with you to put the FUN in FUNDRAISING and make it a special and successful event. Sign up with your colleagues for an EQUINE GUIDED TEAM BUILDING session. Uncover the blocks in communication or the challenges to progress. Clarify the strengths in every member of the team. Gain insight and new ideas about moving forward together with a renewed connection to your common goals. Half-day and full-day sessions available. GIVE A CHARITABLE GIFT this season. Donate in the name of a loved one and they will receive a photo card of a horse they are helping. Give a gift certificate for an EGE session. Or, use the link on our website to shop with Amazon.com. Whenever you make a purchase, up to 10% of your purchase price will be donated back to us.